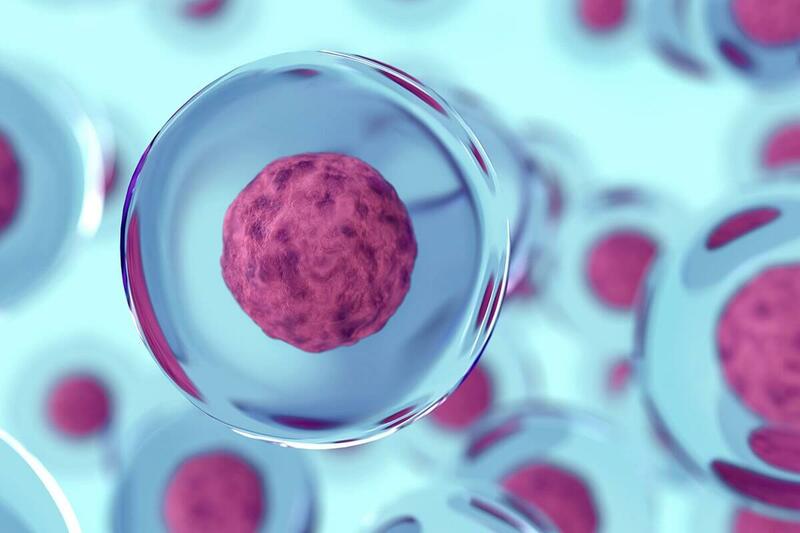 Many people have claimed that stem cells represent the future of medicine. We at American Pain Institute believe that stem cells represent merely the next chapter in medicine because medicine evolves. We are confident that given time, we will have other ways of addressing chronic pain in our patients. At this juncture, we are thrilled at the turning of this next page. Historically, stem cells were discovered in 1869. Stem cells are progenitor cells, capable of changing into many different types of cell: blood, muscle, tendon, cartilage, bone, etc. They are an integral part of repairing damage to injured tissue. Since 1991, there has been a surge in research of one particular type of stem cell: messenger signaling cell, a mature form of stem cell. Messenger Signalling cells are found in various locations: bone marrow, umbilical cord blood, amniotic fluid, dental pulp, adipose tissue, and line the outside of blood vessels as well. It is important to distinguish between messenger signaling stem cells and embryonic stem cells. Messenger Signaling cells are developed, unlike embryonic stem cells. Embryonic stem cell research was banned by President George Bush in 2001. We do not use embryonic stem cells since they usually form a type of cancer called a teratoma. Messenger Signalling cells and Exosomes along with Platelet Rich Plasma are what are being used in regenerative medicine and what we use at American Pain Institute. Messenger Signalling cells are found in various locations: bone marrow, umbilical cord blood, amniotic fluid, dental pulp, adipose tissue, and line the outside of blood vessels as well. It is important to distinguish between messenger signaling cells and embryonic stem cells. Messenger Signaling cells are developed, unlike embryonic stem cells. Embryonic stem cell research was banned by President George Bush in 2001. We do not use embryonic stem cells since they usually form a type of cancer called a teratoma. Messenger Signalling cells and Exosomes along with Platelet Rich Plasma are what are being used in regenerative medicine and what we use at American Pain Institute. We would like to point out that the term “regeneration” is an exaggeration and often used as a marketing ploy to generate hype. It is wrong to state that messenger signaling cells directly regenerate tissue. When people think of regeneration, they have images of lizards regrowing their tails, or superheroes regrowing their limbs. Attributing such hyperbolic attributes to stem cells is wrong and such notions should be discarded as myth, not science. Messenger Signalling cells do not regenerate tissue themselves. They are “repair cells” which trigger the repair of damaged tissue. When we are born, our messenger signalling cells release the most chemicals for repair in the form of Exosomes. Once we reach the teenage years, there is a 90% decrease in the population as well as potency. Over time, this decrease continues. This is why we use Messenger Signalling cells from the umbilical cord blood. They are considered “adult” yet are of the highest potency. It is believed that the decrease in potency and population of our own Messenger Signalling cells contributes to the aging process. At American Pain Institute, we are excited to offer this newest chapter in medicine to our patients suffering from chronic pain. As physicians, we have a duty to our patients to provide safe and effective treatment. As our experience with Messenger Signalling cell injections accumulates, we will continue to evolve our treatment protocols in order to maintain our status at the leading edge of Messenger Signalling cell technology and its applications. We invite you to contact us for more information about Messenger Signalling cells and related treatments.